Best friend Kristina got married Saturday. I can hardly believe it. The day was such a blast, full of love and laughter. She looked positively radiant. Kristina's fab wedding photographer and friend, Katie Mayfield, already put a bunch of the pics online, so I thought I'd post some of them here! Kristina told all of us just to pick a coral dress that we liked, and the variety looked amazing! The most beautiful she has ever looked! Officially Mr. and Mrs. Stuckey! The reception was at the Red Mile, which made for some awesome Kentucky-esque photos. We also got to take pics at the UK Arboretum. So much green! One cool thing Katie did was take pics of the tops of all the dresses to show the variety. I can't wait to see the rest of those photos. When I talked to Kristina after the wedding, she said she wished she could just relive the day over and over again. I feel the exact same way. It truly was a perfect day! Brooke with our first geocaching find! And, okay, it was our only find. BUT STILL. If you do not know what geocaching is, you are a muggle. Brooke's brother and sister-in-law had us over for din, and afterward we played Spanish scrabble, which I lost. But seriously at one point I was only like two letters away from being able to spell "crepúsculo." Crepúsculo, you guys — one of those super random Spanish words that I pride myself on knowing. ¡Hasta la próxima, you know! 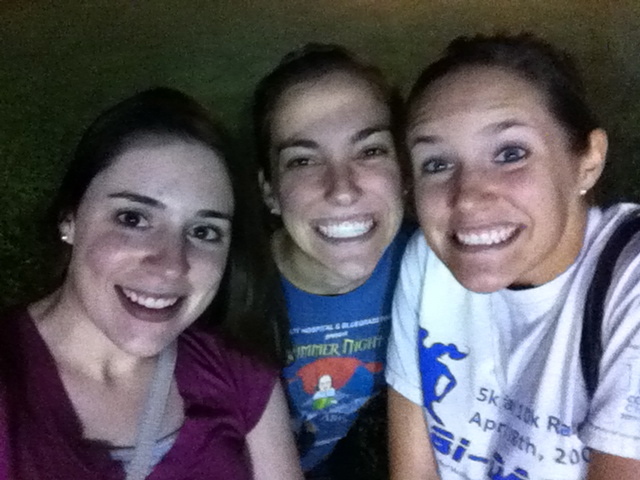 Brooke and Jill (who were friends from college and now live in the same apartment complex — sweet set-up) and I also went for a late-night donut and geocaching run! We found the donuts. We did not find the last geocache. But it was lovely outside, and we successfully avoided the fog zombies, so I'm calling it a successful trip. Had so much fun with these friends and cannot wait to see them again during Kristina's wedding festivities! Sleepover with these pretty ladies took precedence over blogging last night. Apparently I held my chopsticks upside down. #typicalkate We were eating American food, so I'm not even sure why we got them in the first place! Points for trying, right? It's technically Saturday, but I'm counting this as Friday's post because I haven't gone to bed yet. 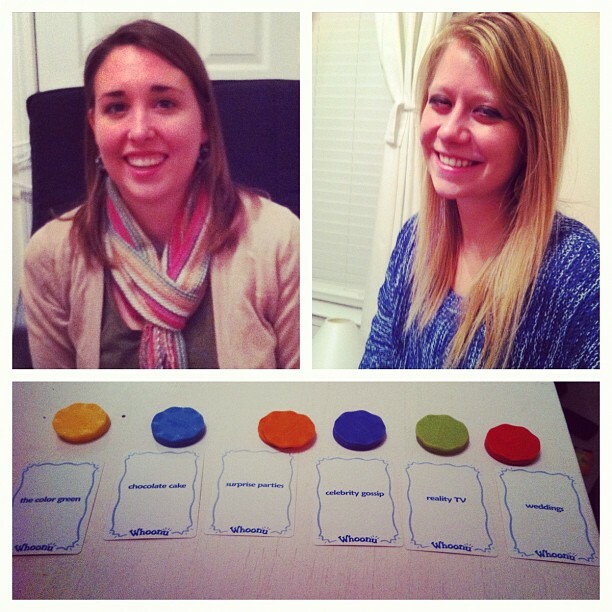 Betsy, Leah, the brother, and I did pizza and games this evening. Have you played Whoonu? People choose cards, and then you have to rank the cards by how much you like what's listed on them, and people get points based on how highly you rank their cards. But these kiddos obviously know me too well because they gave me chocolate cake, surprise parties, celebrity gossip, reality TV, and weddings in the same round. How do I rank those? Another round I had to rank road trips, pepperonis, bicycling, convertibles, the internet, and air-conditioning. HELLO!? I love all of those things.